Last Thursday (29 January) I welcomed constituents to Northfield Talks, a public discussion held at Northfield Baptist Church to talk about the early findings of my survey on immigration, and local peoples’ concerns on the issue. The idea to hold the survey and event were in response to the many emails, letters and conversations I have with local people on the doorstep. I know people are worried about the management of immigration and how it affects jobs, wages, and public services like schools, social housing and the NHS. In addition to the hundreds of people who participated in the survey, over fifty constituents braved the snowy weather to hear the findings and raise their concerns at the event. They deserve a very special thank you! The survey found a large majority (67%) consider immigration an important issue, especially in relation to wages and working conditions. Across the whole survey, the most common concern was the need to stop people’s wages being undercut. 89% of people agreed there should be more resources to enforce legislation around the minimum wage and employment conditions. What that highlighted for me is that beneath people’s concern about immigration are often worries about other things – about the need for better training and job opportunities for young people, about insecurity at work, about the NHS and about the shortage of good quality affordable housing. And about the fact that all too often politicians don’t seem to listen. Many people recognise that parts of the media find it easier to equate all this with immigration when the reality is not so simple. Sadly some political parties too think peddling myths are a better way to get votes than discussing facts. Take the NHS. People at the event recognised that our hospitals simply would not function without doctors and nurses from abroad. But that is no excuse for the UK not to train up enough doctors and nurses here. Sadly nurse training was cut since 2010. Government needs to turn that around. What people were less convinced about were that the answer was a fixed cap on numbers. Eighty-three per cent of people surveyed did not believe the Government’s cap works and that it can actually stop people coming in who can make a real contribution to our economy. For example, 70% of respondents did not understand, why international students have been included in the cap. People agreed that immigration controls need to be smarter and it all underlined the need for better staffing and border controls, so we can properly record who is coming in and leaving. It’s madness that we don’t have that. 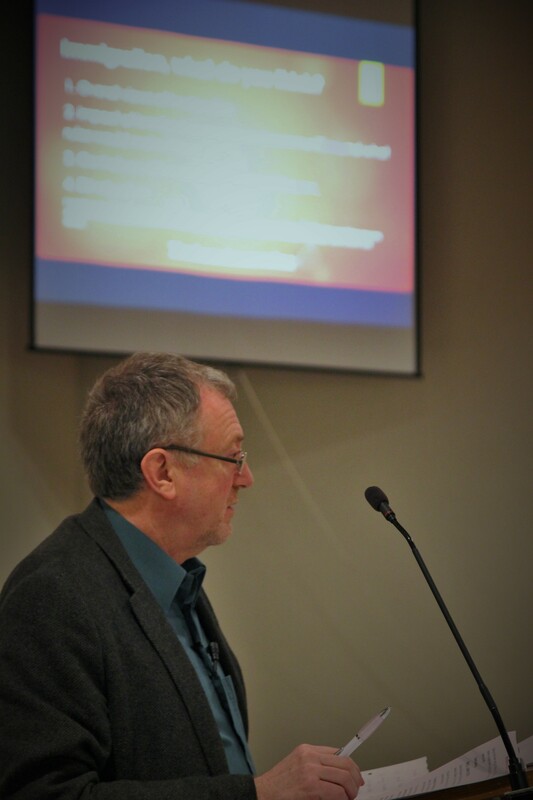 Northfield Talks brought together a wide range of views of people from different ages and different backgrounds – in responses to the survey at the event and in the online discussion that accompanied it. It was a challenging discussion at times but an important one. We need openness to distil the facts from the myths. And it showed Government needs to do a lot more, on border controls, on banning employment agencies who only recruit abroad, on enforcing fair wages and on improving skills and training to name but a few. Keep a look out for my Immigration Report, which will give more details of the surveys findings in the coming weeks. 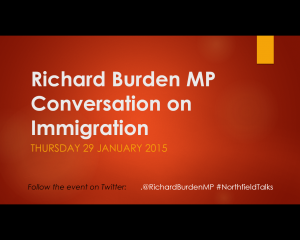 In the meantime get in touch if you want to share with me your views on immigration.